Great one-day course for the 18th, quick and easy. The course taught me everything I needed to know and more. Rob’s experience and knowledge and his ability to explain things was brilliant. Having a need for DC competence training, we approached Trans Euro and were impressed by their professionalism in meeting our needs. Overall, we were completely satisfied with Trans-Euro’s professional attitude towards the whole process from start to finish. 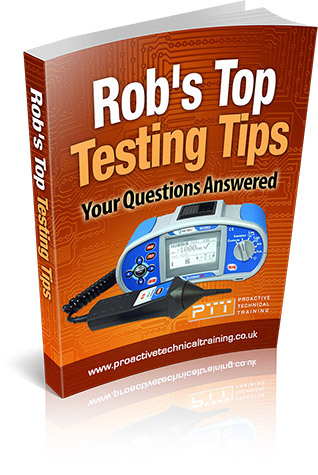 Thank you to all at Proactive Technical Training, for all the help and guidance on my PAT testing course this week, great place to learn and develop skills big thumbs up all. The course has provided an excellent solution and a fount of useful knowlege which everyone can put into practice. The process of arranging and booking the course from enquiry to the course day was easy and hassle-free. The trainer was brilliant, very knowledgeable and quickly adapted the course to our equipment. I’m sure we will be using your services again in the future. I’m a electrician and project manager on building /refurbishments. I’ve recently just finished the 2394 testing course at proactive technical training held at Tring. I can honestly say from start to finish the experience was exceptional. From the original phone call to the reception , I spoke to a couple of the reception staff who were very Helpful and made everything clear from the outset. The course itself was intense but was made clear all the way through. The tutor was very very good, he put you at ease and made you belief you could pass which Is what I feel you need from the start. The facilities were very good and there was plenty of parking ,to be honest couldn’t really ask for more. I would 100 % recommend P.T.T. Proactive Technical Training (a division of Trans-Euro Engineering Services Limited) (“We”) are committed to protecting and respecting your privacy. This policy (together with our terms and conditions https://www.proactivetechnicaltraining.co.uk/terms-conditions/) and any other documents referred to in it) sets out the basis on which any personal data we collect from you, or that you provide to us, will be processed by us. Please read the following carefully to understand our views and practices regarding your personal data and how we will treat it. Proactive Technical Training is the data controller. This means we decide how your personal data is processed and for what purposes. Our contact details are: Unit 5a, Icknield Way Industrial Estate, Tring, Herts HP23 4PH. For all data matters contact Steve Redpath on 01442 828754. Fulfilment of contract (to provide training services and to register your details with an awarding body if applicable). We have obtained your personal data from you, the data subject or your employer and not a publicly available source. We keep your personal data for a period of 7 years in order to provide a quality training service and to comply with our statutory obligations to HMRC. We require your personal data as it is a contractual requirement to fulfil training services. Copyright © 2019 Trans-Euro Engineering Services Ltd. All rights reserved.